Hootie makes beer now? Does that mean he's moved on from country music? Thank God. 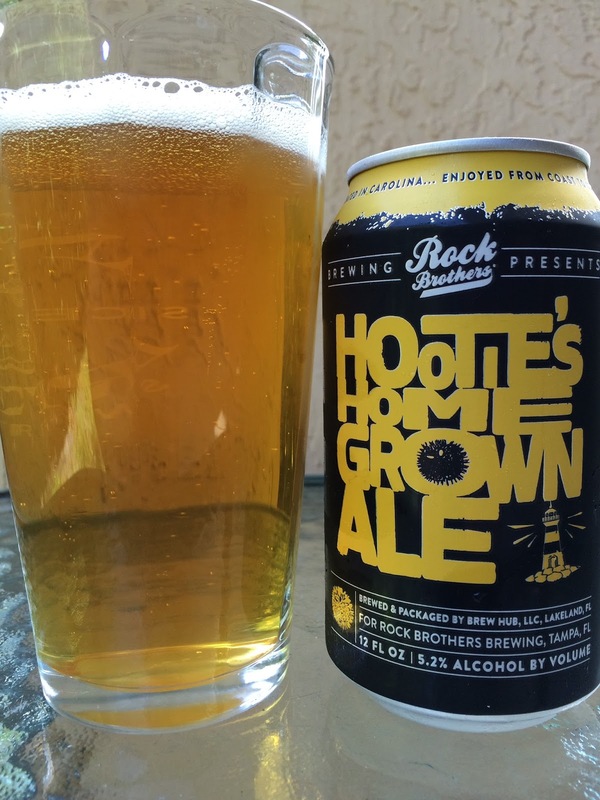 I want my Rock 'N Roll Hootie back! There's a long micro-font story on the back of the can. Hopefully when I mega-size that picture below, it'll be readable. 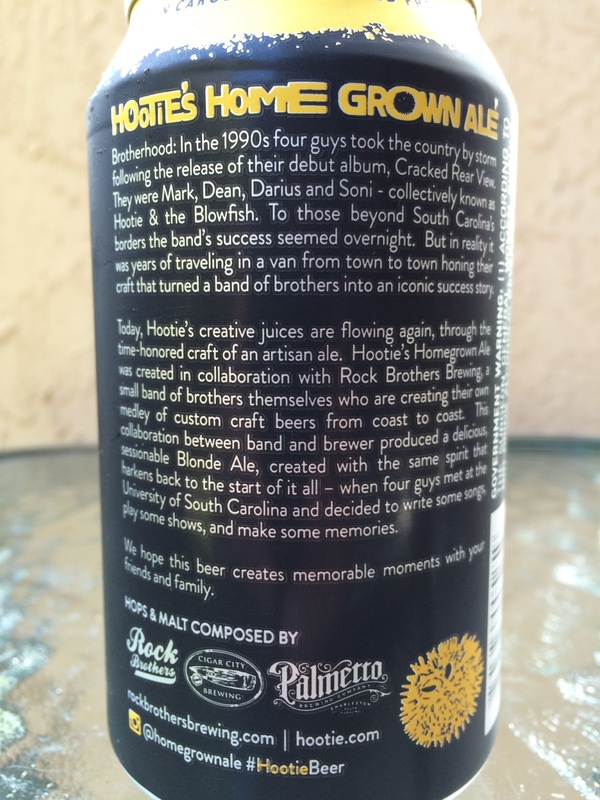 This is a collaboration beer between Rock Brothers Brewing and Hootie, brewed by Brew Hub in Lakeland, Florida. Furthermore, hops and malts also come from Cigar City and Palmetto Brewing, so it's kinda complicated. Hopefully, this isn't just a gimmick beer! The website I found for the beer warned me it was an attack website, so here is their Facebook page instead. 5.2% alcohol. Faint fruit, malty sweet aroma. Flavors are the same, fruity with maybe a little honey sweetness. A little spicy and very boring blonde ale. My wife liked it, however she's probably a closet Hootie fan! In the end, it's on par with the super-average "Golf Beers" Brew Hub devised with some PGA pros. Call me if you need recommendations.